At the heart of Jerusalem, The Montefiore Hotel is within walking distance of the Old City and many attractions, such as The Western Wall, The Church of the Holy Sepulchre, and the Ben Yehuda Promenade. Many of the city’s best restaurants and exclusive shops are nearby. The hotel has excellent public transport links which take you all over the city, a station of the new light rail service is nearby. The hotel has 47 comfortable rooms and one suite. The Montefiore Hotel provides a full Israeli breakfast and free wireless WIFI connection. A free laptop, available upon request, will help you stay in touch with home. At the Hotel: the Angelica Restaurant, a unique kosher chef’s restaurant, offers fine grill and special dishes. The best location in town – guaranteed! The best location in town - guaranteed! The hotel has 47 comfortable rooms and one suite. The Montefiore Hotel provides a full Israeli breakfast and free wireless WI-FI connection. A free laptop, available upon request, will help you stay in touch with home. 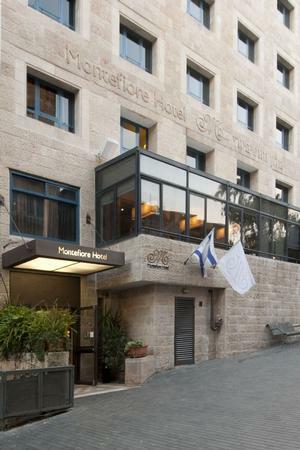 The Montefiore Hotel is located In the City center, at the very heart of Jerusalem. The hotel is situated within walking distance of the Old City and The Western Wall, The Church of the Holy Sepulcher, The Ben Yehuda Promenade, The Great Synagogue and many other attractions. 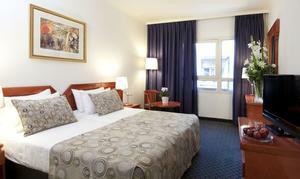 The hotel is linked with excellent public transportation which takes you all over the city. 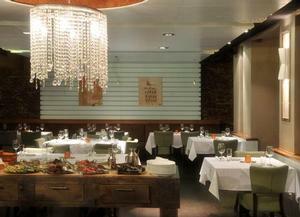 Many of the city’s finest restaurants and exclusive boutiques are nearby.